Smile More Dental is committed to patient care. As an extension of the commitment to care, we want to positively impact as many lives as possible and that is why we have started the Giving Back Project. Though in its infancy, this program aims to help and benefit our local and global community. Below are some examples. One month every year, we partner up with Kensington Schools to teach oral hygiene classes at their schools. 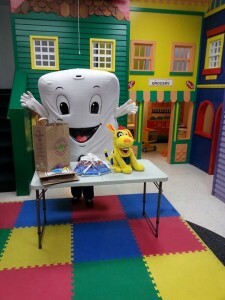 We strongly believe that teaching oral hygiene to our local youth will help instill healthy habits. 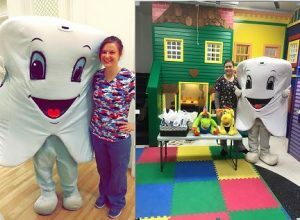 In turn, this helps to create healthy and happy smiles within our community! We have partnered with several schools to teach oral hygiene throughout the classrooms in our community. Our team engages the children in a playful learning experience and provides them with new toothbrushes and more. We have made it a priority to instill the importance of good oral hygiene and good eating habits starting at a young age. 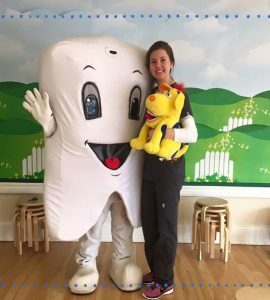 We strongly believe that teaching children will ensure that they keep healthy teeth and gums for life! We have teamed up with The Vitamin Shoppe to educate our community on the importance of oral hygiene. 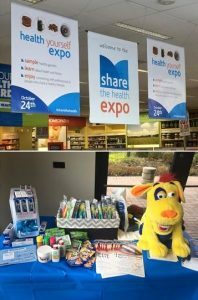 We do multiple Health Fair Expos throughout the year, providing various samples of new oral hygiene products for everyone to try out! The Lombard Park District hosted Take Time for Tots Day, which provided activities for the children and resources for the parents. We joined in on the fun and had interactive games to play with the children. 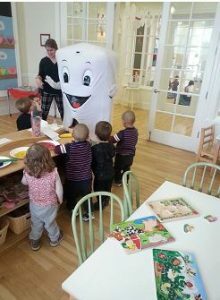 They loved seeing Toothy and learning about ways to take care of their teeth. 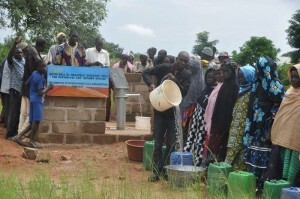 As part of our commitment to caring for our patients and people alike, Dr. Diab, founder of Smile More Dental, has helped to build a well in Mali through the International Call Organization! Our team had a great day volunteering at SCARCE! We helped to clean up and paint their classroom. SCARCE is a wonderful organization that helps collect books and school supplies for schools in need. 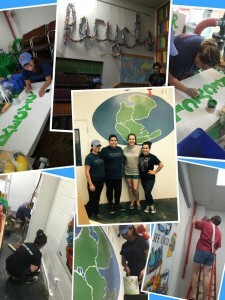 They are doing great things for our planet and communities, so we loved helping them out today! 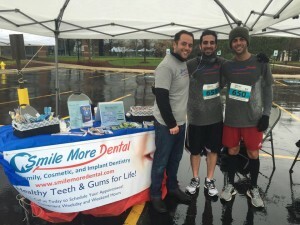 Smile More Dental has joined Serve DuPage 2015, a yearlong initiative to promote volunteerism and civic engagement throughout DuPage County. Serve DuPage 2015 will focus on service area every month including the arts, literacy, public safety, food insecurity, employment and veterans. It will also continuously promote volunteerism in all areas throughout the year. We recently sponsored the 4th Annual DuPage Human Race, which supported 67 local charity organizations. With the help of other sponsors, the event raised over $80,000. These funds will help to expand programs and services that support programs for children, feed the hungry, promote literacy, provide services for the elderly and more! 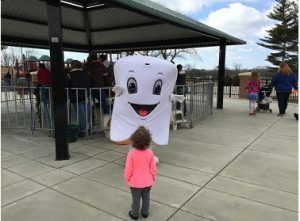 Our staff also volunteered at the event, handing out toothbrushes and snacks to the race participants. We loved being involved and look forward to seeing how this event helps our community grow! 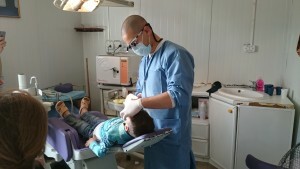 One of our dentists recently traveled to volunteer in makeshift dental clinics halfway across the world. He teamed up with SAMS, which organizes volunteer trips for physicians, dentists and other healthcare providers. He provided moral and psychological support, as well as general, preventative and emergency dental care for refugees. For 20 years the Shop with a Sheriff program has been helping kids in DuPage County buy toys for Christmas. The event is made possible through generous donations from community partners. It was all smiles on December 6th as the DuPage County Sheriff’s Fraternal Order of Police and Smile More Dental teamed up to put on the annual Shop with a Sheriff event held at the Meijer store in Bloomingdale. A group of DuPage County kids spent the day roaming the aisles picking out their favorite gifts and toys for themselves and family members. “The holidays are such a happy time for most people, but it’s tough for some kids and families who are barely making ends meet. No child should have to go without on Christmas. To see the joy on their faces as they shop is very rewarding,” -Dr. Sami Diab of Smile More Dental.